True that. The 2.5 is a very different car with different tyres (Kuhmos), just noticed that. Sroser back to your old self. The Mono in question is an updated and upgraded car. The radicals you are comparing are different cars as well. saxy - different drivers on different days. Richard Meaden is GT racing pro driver with a 15 year long career, Bovingdon is not. Note that the Mono is 3s quicker than RXC on Anglesey and 1s slower on Blyton Park outer. Yeah different drivers make huge differences. Evo have at least 4 different drivers. Meaden - GT racing pro. Franchitti - 4 times Indy Car Champion. So their times are highly inconsistent. 1:07.7 on Anglesey Coastal. Evo Issue 229, driver Richard Meaden. which...if my old noggin serves me right is road legal. Lol you are defending a 2 million dollar road illegal track car with racing slicks being beaten by a road legal track car for less than 10% the price? Actually no, put slicks on the Mono for those tracks and I guarantee you the mono will be faster at Silverstone. Spa would be similar. id say yes, but itd be close around anglesey. now the obvious question, can the caparo T1 beat the BAC mono? Having watched quite a few youtubes showing off the bac mono...l have come to this conclusion. Its better looking than the caterham, aerial atom, ktm & radical combined. A forced induction cosworth engine may make it even better? Hats off to the designers & engineers. A road leagal gocart for grown ups & boys with toys. The Caparo is a great piece of engineering. However it can't be compared to the aerial atom, ultima gtr 720 or bac mono or any other super car for that matter. All the above mentioned & not mentioned can be driven from home to the track & back again. The Caparo cant even get around a bend at slow speed with outspinning out. As an all out race car "fabulous"
And only a race car could compete with it..ie a f3 or le mans category race car. Pls compare apples with apples. Cant go past bac mono or an ultima gtr 720. Time at Spa Francorchamps with wet surface. A nice looking car and really fast enough for nearly every other car. But no downforce beast. My favorite sports car. I am sorry, I did not know that and underestimated the car. "Only bad thing is lack of a passenger seat!" LOL, I did not even noticed it has just one seat. 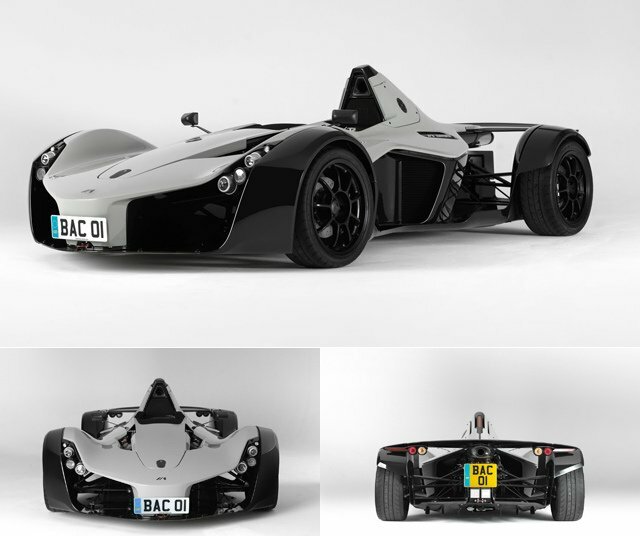 It is unbelievable, that BAC Mono beats round the track the car (Atom V8) that generates 350 bhp/tonne (!!!) more! I would never suppose this car, whose engine is way not the starkest, is such a successful performance tool, and make so a lot of noise around it. And BAC looks surprisingly beautiful for such a street-legal track car! Well, hats off. This is now better than atom v8 in every way. Better looking, higher mph, quicker round a track. Only bad thing is lack of a passenger seat!! That S7 held the Fastest MT Figure 8 time for a LONG time on Motortrend, but was beaten by the ZO6 and GT2RS..ONLY, and I "Think" its still 3rd today, so im in no way gonna underestimate how fast it wold be round a track. That car was designed to Race. The other competition, was designed to go around a track even more so, NO compromise racers. Both the Gumpert and Ultima have proven how fast they are round a track, (For the "Normal" ategory-_-") The Mono, Radical and Atom have also, Just the LeBlanc hasn't, RST just on one track. But I believe the T1 would come on top no matter who the competition it goes on. its simply too fast. I am surprised of your high expectations in the Saleen. I never thought the Saleen S7 could do such fast laptimes because it looks more like it is designed for speed, not for downforce. Also, I think the Competition has too much power, and will not find traction on a curvy track. At this level and with cars like this, setup is so important. Give each car a team to help set it up and 1 HIGHLY skilled driver to drive them all and I think the T1 would finish on top. As fast as this car is, it would get utterly raped by a T1, as would every car, there are FEW cars that can contend with a Caparo T1, Lets see.. There may be a few im missing on that list.. He said that when a fake time was added at Bedford. The fake time was 10 seconds faster than the T1s. No, it isn't. It DID look good sliding through the corners on Top Gear lap, though. There were 5 then 2 part special. How many episodes of 19th season have they already shown? I wouldn't be wondered if they haven't already tested AM Vanquish and Ferrari F12b.. what are they waiting for?